Increasingly, and especially among younger “digital natives,” we conduct our relationships on-line, and on various social media platforms. While there is a growing body of research on how traditional relationships (or lack of them) affect our risk for suicide, we have a lot to learn about how our digital relationships affect our suicide risk. 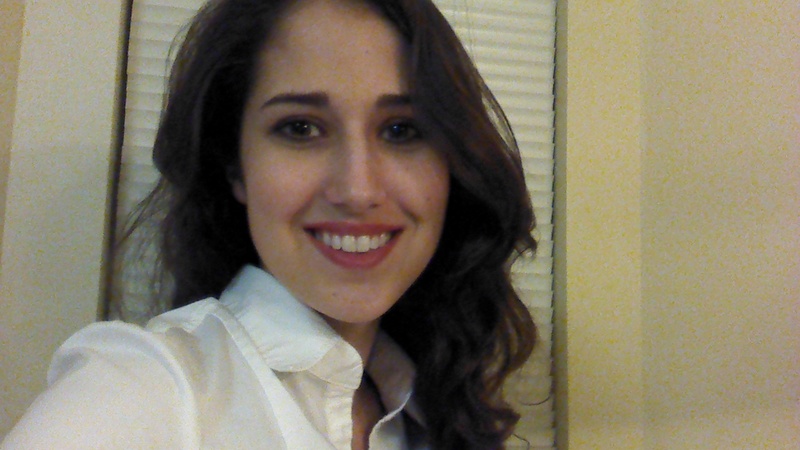 Enter Ms. Fallon Moberg, a young researcher who has begun asking these questions. She’ll be joining us Sunday, 4/27/14, at 9pm CST, to discuss how she has applied classic theory of suicide risk and relationships to our digital lives. Social networking sites allow us to be connected to people on a larger scale than ever before. Could time spent in our digital relationships reduce “thwarted belongingness” and reduce our risk for suicide? Or, conversely, do we increase our risk with longer hours in our “login” relationships? Fallon Moberg is an undergraduate psychology major at the University of Southern Mississippi. Her research interests include online interactions and components of the interpersonal psychological theory of suicide. Ms. Moberg is particularly interested in how negative social networking interactions and problematic internet usage may affect suicide risk. 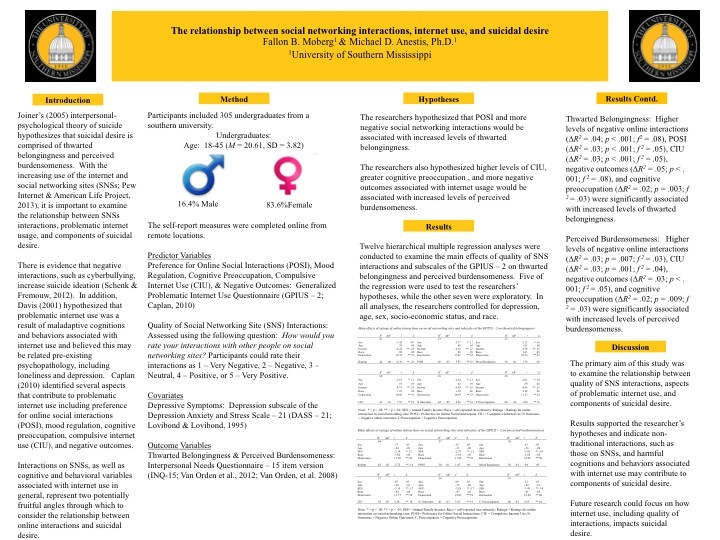 She received the Outstanding Undergraduate Research Award in Psychology and recently presented a poster at the 2014 American Association of Suicidology Annual Conference. Currently, Ms. Moberg is working as a research assistant in the Suicide and Emotion Dysregulation Lab and is conducting research examining the relationship between online interactions, face-to-face interactions, and thwarted belongingness.